It's here early! 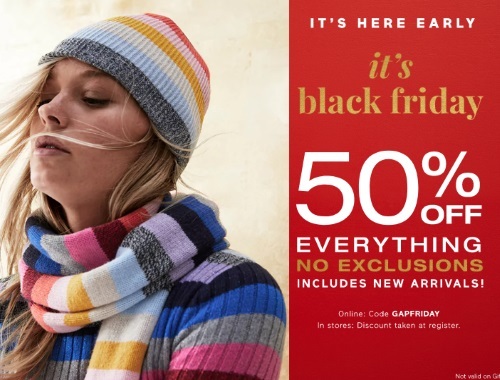 It's Black Friday NOW at Gap! Save 50% off everything, no exclusions, including new arrivals! Enter the promo code GAPFRIDAY at checkout to get the offer, or mention the deal in-store. Offer is valid November 21-25,2017. Looking for more Black Friday Canada deals? Click here to see all our posts.